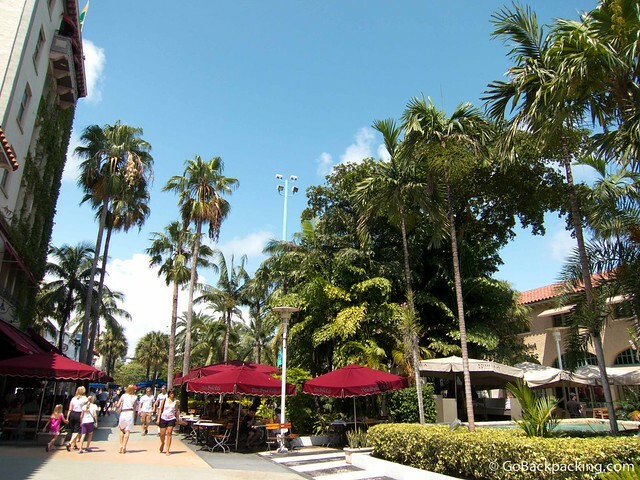 Once I discovered Latin culture in Colombia, I began thinking about Miami more and more. Some say it's the capital of Latin America, and if I decide to settle back in the USA, Miami would make a lot of sense. A three-hour flight can get you to most of Central America, the Caribbean, and the northern countries of South America. It's a melting pot of Latin and Caribbean cultures. Plus, like New York City, it attracts the full spectrum of people, from the richest to the poorest immigrants, looking for a better life. I decided to incorporate a quick visit between my time in South America and Europe. Here's a recap of my first 48 hours in Miami. Like many a tourist, I decided to base myself in South Beach. It's the East Coast's Beverly Hills. There's so much money walking around, you can smell it. I took a $2 bus from Aventura to Lincoln Road, the epicenter of South Beach, after staying with Danny and Jillian from I Should Log Off further north. Along the way, I spotted my first (of two) orange Lamborghinis. I got off the bus at Lincoln Road, an 8-block outdoor mall between Alton Road and Washington Ave, lined with dozens of shops and restaurants. I could immediately tell this was my kind of neighborhood. As I rolled my new luggage down the pedestrian walkway, I noticed plenty of pretty people, and a lot of skin. Much more than I was use to seeing in South American cities, even in the summer. Reverse culture shock strikes again. I was psyched to find Briana's (my couchsurfing host's) apartment was a block off Lincoln Road. It was a cute studio, which reminded me of my old apartment in Virginia. After getting to know each other, she headed to work, and I set out to explore Miami Beach. First, I had to replace my MacAir's AC adapter, which was easy enough, as there was an Apple store on Lincoln Road. Next, it was time for a late lunch. The heat and humidity were oppressive in mid-afternoon, yet I still decided to grab a table outside Sushi Samba to do a little people watching. I ordered two rolls, which turned out to be just 6 and 8 small pieces each. The quality was excellent, but the quantity for the money left me in disbelief. To be fair though, Briana warned me about the high prices on Lincoln Road before I stepped out. I made a mental note not to spend $35 on another meal in Miami unless I knew it'd fill me up. Lunch was over quickly, so I began walking south along Ocean Drive, which practically intersects with Lincoln Road. The right side of the street was lined with restaurants and bars, one after the other, for a good 10 blocks. All of them had outdoor seating along the sidewalk, where people were kicking off happy hour with giant margaritas. These cocktails were so big, they often had one or two inverted Corona bottles sticking out of them. Seafood was a popular choice, and after seeing so many King Crab legs being served, I began to crave them myself. Eventually, I hooked a left and walked along South Beach. The water was warm, and for a Thursday afternoon, there were plenty of people enjoying it. Before arriving in South Beach, I thought it was a very exclusive area. But, as it turns out, it's more like Venice Beach, California or the Atlantic City boardwalk, attracting an eclectic mix of vacationers and locals. 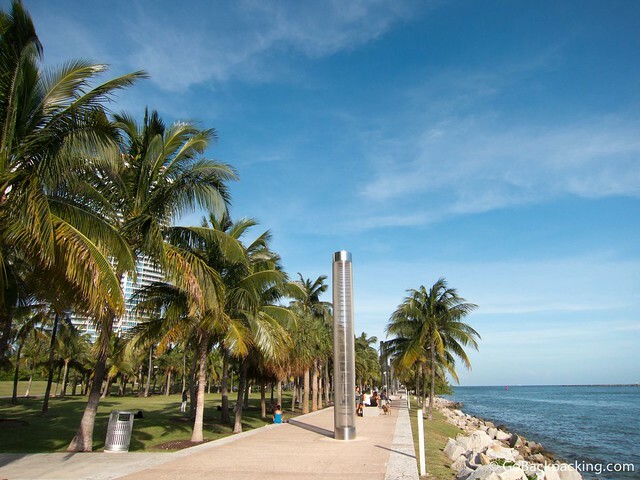 At the south end of Miami Beach, which is actually an island connected to the mainland by several causeways, is South Pointe Park. Several luxury high rises are built here, however there was little life to the area when I walked through it. After the restaurants on Ocean Drive come to an end around 5th Street, it's a ghost town. 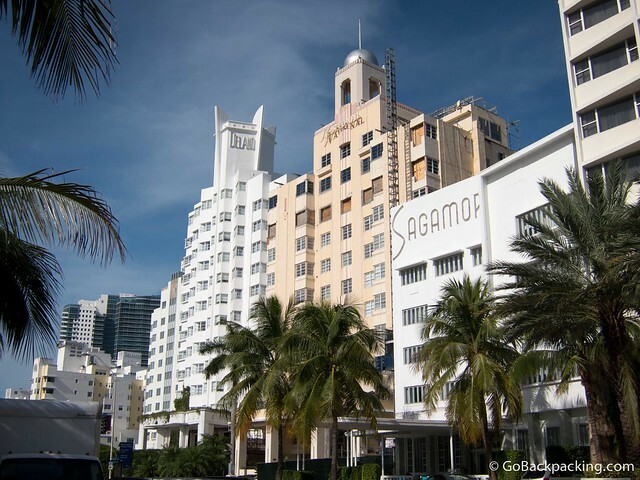 Like much of the expensive real estate in southern Florida, it's possible that many property owners aren't living in these buildings, but just using the space as a way to store their wealth, and lower their tax liabilities. South Pointe Park, however, was filled with plenty of joggers and people out walking their dogs. After walking 18 blocks to South Pointe, I turned around and made it all of one block back toward the north, before waving the white flag of exhaustion, and hailing a taxi. To make up for my pricey lunch, I grabbed a sandwich from 7-11 and returned to the apartment where I met Briana's boyfriend, Tim. We talked for a while, he offered me a beer, and then we walked a few blocks to Abbey Brewery, where I had the chance to sample the house beers. Abbey Brewery was the kind of dive bar you'd find in NYC. I liked it immediately, despite the fact that Miami has yet to ban smoking in bars and restaurants. I checked email Friday morning, and then TripAdvisor to see if there were any interesting restaurants nearby. Jimmy'z Kitchen caught my attention, with rave reviews about the Mofongo, a Puerto Rican dish. Only a few blocks from the apartment, I went to investigate. When I began to close in on the address, I was surprised to find it looked like your average strip mall restaurant. Inside, there were only about six tables, and all were full. It was a tiny place, but I decided to wait for a table, and eat there for the full experience. I lucked out, as Mofongo is only offered on Fridays and Saturdays. 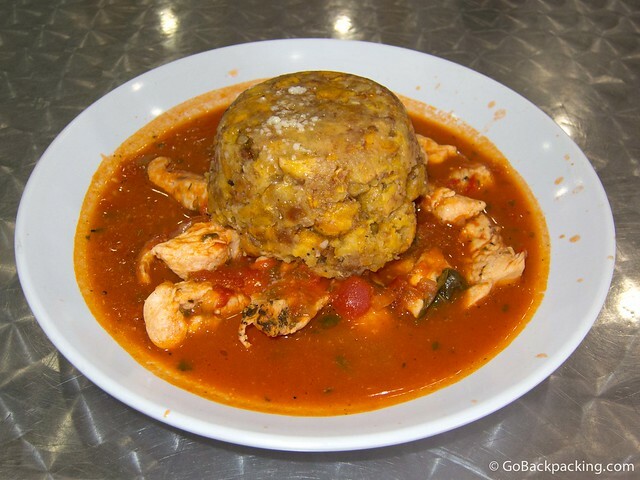 I gave my order for Mofongo with chicken. I can honestly say it was unlike anything else I've eaten. The tomato sauce was rich and slightly spicy, and the mashed plantains were more than enough to fill me up. If I were to order the dish again, I'd skip the chicken. And best of all, it was only about a third the cost of my sushi lunch the day before. During my first pass through Lincoln Road, I'd noticed Serendipity 3. I'd been wanting to try the original Serendipity in New York City ever since I saw the movie by the same name (with John Cusack and Kate Beckinsale). 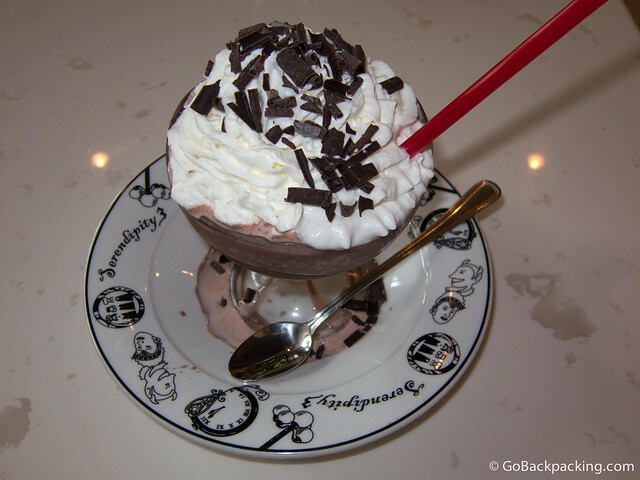 Despite being full from my Mofongo, I walked in Serendipity 3 and promptly ordered their famous frozen hot chocolate. Made from the grounds of 17 different types of cacao, it's simply a cold chocolate drink. What I didn't expect was the mountain of whip cream they added. Because it's made with ice, not ice cream, it's not as heavy as a milkshake, though the cacao ensures it's just as rich. Hopped up on sugar, I took the opportunity to pick up a new pair of Oakley's at The Sungalass Hut. I'd bought my last pair almost four years prior in Cape Town. Along with South Beach, Little Havana was on my short list of must-see places in Miami. Luckily, my visit coincided with the monthly Viernes Culturales (Cultural Fridays) block party, which is held in Little Havana. While my host, Briana, couldn't join me, there was a Couchsurfing meetup happening for the event, with no fewer than two dozen couchsurfers. The block party was light on people, but maybe that was because it was the low season, and this event seemed to draw mostly on tourists. I was expecting streets to be closed off, as you might see in Medellin. Instead, we dodged traffic as we crossed back and forth across Calle Ocho. People followed the live entertainment as it moved from one venue to the next. The venues being a restaurant and a Cuban cigar shop. 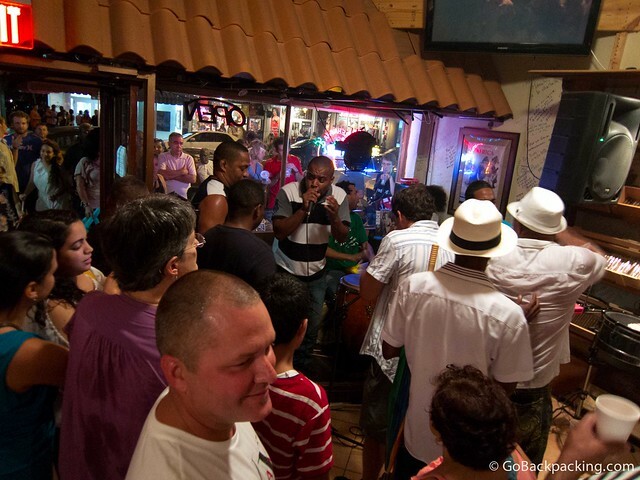 Still, standing in a smoke-filled cigar shop, with a $5 mojito in hand, listening to real Cuban music was just the experience I was looking for in Little Havana. 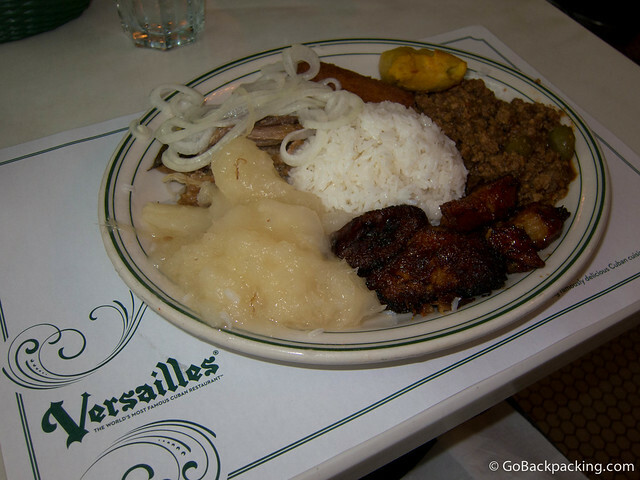 While hanging out in Little Havana, chatting with couchsurfers, I remembered Versailles restaurant. I'd already paid $30 for a taxi to Little Havana, so what's a little more for a chance to eat at the best Cuban restaurant in Miami (or anywhere outside of Cuba for that matter). A short, $10 taxi ride later, and I'm sitting down in a packed restaurant. It's midnight on a Friday, and I knew there was a reason I hadn't eaten dinner yet. I ordered a Cuban espresso (which turned out to be way too strong for me), and the Classic platter, which included twice as much food as I would manage to eat. Aside from a few Cuban sandwiches in NYC, I'd not been exposed to Cuban food. This was my introduction, and it was tasty. I was especially fond of the roast pork, “picadillo” ground beef, and ham croquette. Afterwards, I caught a taxi back to South Beach for about $37. Unlike NYC, if I do move to Miami one day, I'll have to get a car. Have you been to Miami? Share your experience in the Comments below. Yes, I have been to Miami. Am I ever going back? No, I doubt it very much. My husband and I were going to get married on a cruise. Two hours before leaving on our big trip, our rental car was broken into, and the thieves stole EVERYTHING. The car was parked in a private parking lot with 14 surveillance cameras so it wasn’t like we left it in the street with all our stuff visible on the backseat. The police thought that it was an organised crime in as much as the thieves had followed us from our hotel and seen us loading the suitcases into the car. The Grand Cayman wedding was off. Instead we had to go buy ourselves some new toothbrushes, clothes, camera etc. etc. I truly hope that the visit to Miami was a once in a lifetime experience! P.S. : We did get married (in Key West), and we ended up spending the entire three weeks in Florida and actually fell in love with the westcoast. Today we can laugh at the event, but at the time it was sad and very costly as insurance doesn’t cover jewellery, presents, and cash. I’m a native Floridian and have traveled to Miami dozens of times to catch flights to South America and I’ve always had a good time even though I’ve never spent more than 48 hours there. From everyone I’ve talked to who lives in Miami you either love it or you hate it (my Colombian friends who live there seem to love it). I live in Orlando and if I could find a good job in Miami I’d move there in a heart beat. Miami is a great place to be. 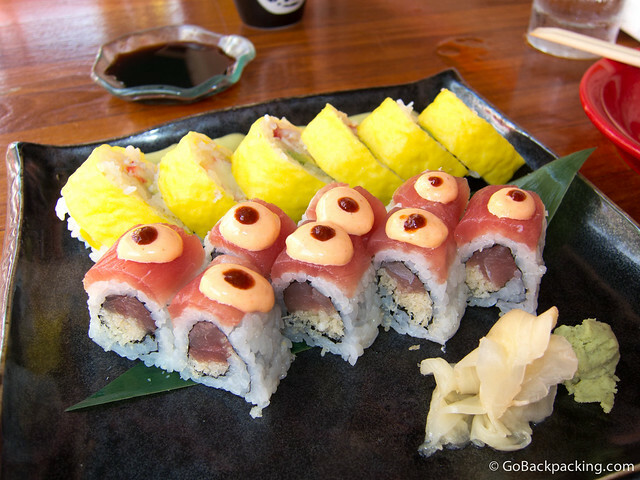 Although I have not tried sushi before but the photo you have is pretty good. Makes you think if I should try it one day. 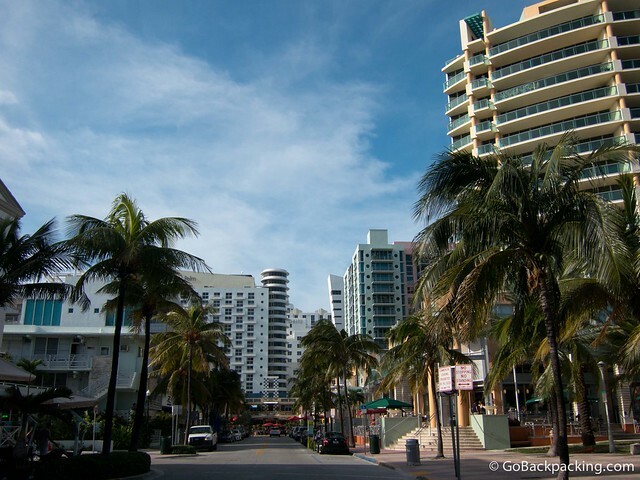 Miami is an amazing place if you know where to go, such as the nicer places like South Beach, Coconut Grove and a few others. Some places are kind of third world though but try to avoid those places. 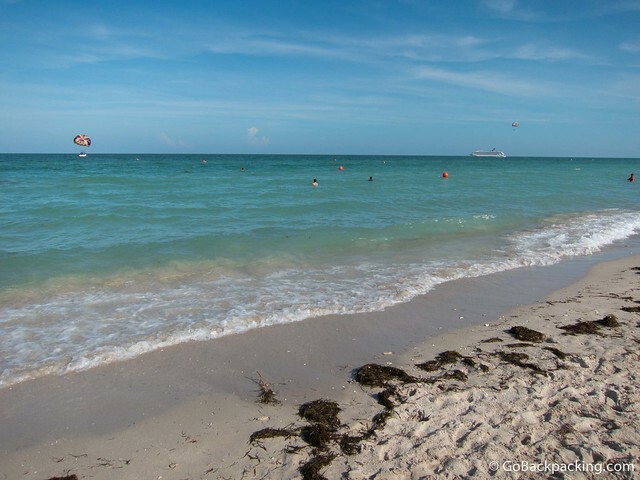 Other than that Miami is a great place to have fun, relax, and enjoy the great tropical weather.